While we are busy preparing for the full rollout of the app, there are more and more members joining our early testers. The app is constantly being improved and more features being implemented - so stay tuned, we're only getting started! 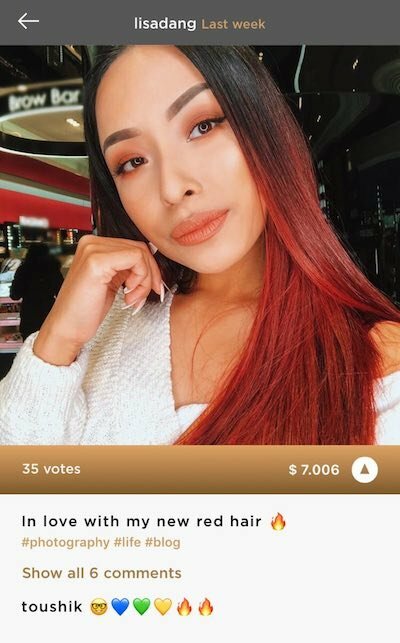 In this post, we would like to show you some of the functionality of the app, and some of the most highly curated / most interesting content that has been posted so far! 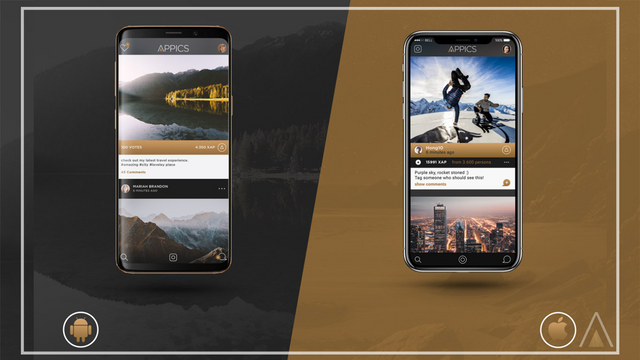 It's so amazing to witness how the appics community is growing and becoming a global family - we love it and invite everyone to join! Especially our fellow Steemians! The first one is a familiar Steemian - @travelingsomm! Blogging about her life, traveling, and wine, @travelingsomm posted this beautiful flashback to her wedding day ! Next, it's professional photographer @thomasjmitchell ! Thomas travels around the world, capturing stunning photographies and unique shots of different animals. Look at @pedromrmourato with his DAILY APPICS Series! Pedro has been one of the first on the APPICS testnet and has been continuously posting every day! Look who it is - APPICS Team member @lisadang! Lisa is currently traveling the world, exploring Australia and representing APPICS at the other end of the world! currently sharing moments from our time with the APPICS US Team in California! Last but not least, we'd like to introduce you to an incredible artist on the APPICS platform - @georgeboya! 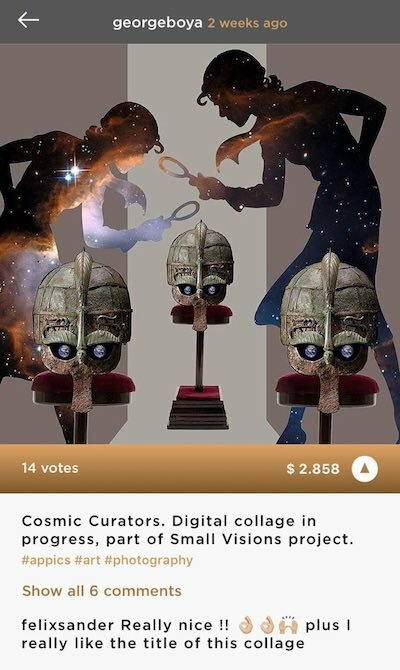 George creates incredible digital collages with different graphics and puts it all together with his unique style. We would also like to thank one of our earliest supporters @danielschmunk who created this amazing digital APPICS artwork! 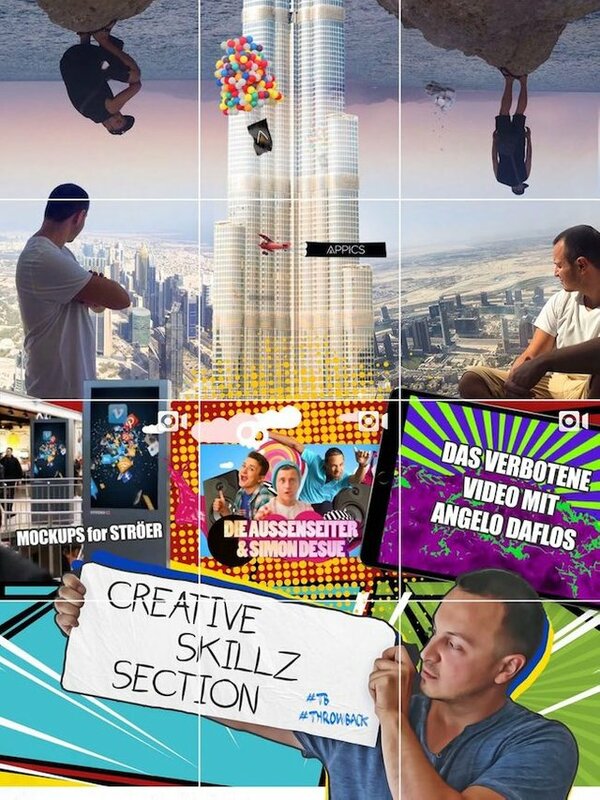 Daniel played around with the APPICS logo and the Burj Khalifa to create a cool collage and of course posted it on the APPICS app as well! Our App has still only soft-launched so there are countless features being added and bugs being improved. A major update will be coming very soon so stay tuned! 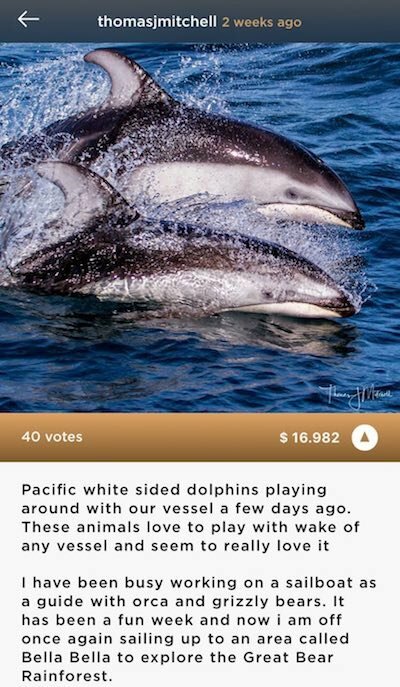 Here is a sneak peek - our new upvoting animation also for iOS! 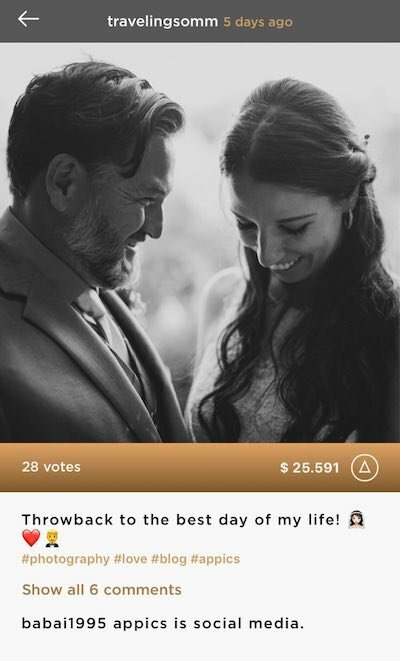 Thanks for exploring and testing our APPICS App! Please make sure to fill out our Feedback Form and report any possible bugs you might have experienced. And for anyone who does not participate in our tester program yet: sign up HERE for the waitlist! Our testnet is currently running on the STEEM Blockchain, so you can directly log in with your steemit account name and private posting key! Our official Website is also about to totally re-launch - so stay tuned! 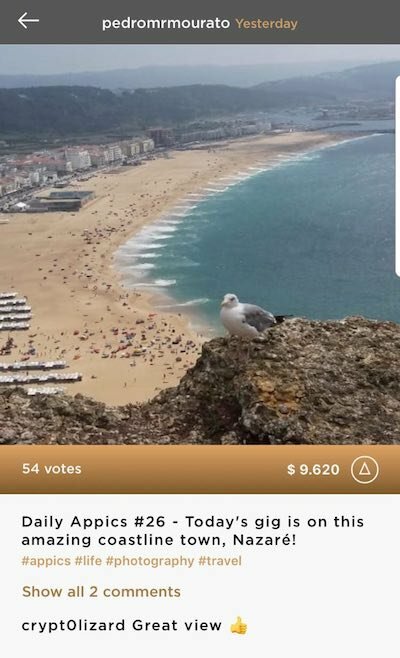 Thank you @cryptolizard , we loving seeing your travel diaries on appics! Hey @kilatunzii thank you very much for the support! Amazing. people will love it. so many features and fun place to join in. Stay inside and get your day more colorful. Can't wait also XAP on Exchange. Cheers! Yes 🙌 thank you very much! Im Loving the App so Far! This is amazing... so glad everything is moving on so well at @appics. Thank you 🙏 we appreciate the support! I cant wait for the Major app updates. The video upload will be amazing. Thanks to Team Appics for your selfless service. Thank-you sir for see my last post and upvote me. Newbie here, please support by following . Thank you have a nice day. Hello APPICS team, I forwarded a mail to Uma few weeks ago on how I can post using the tester program but I haven't gotten a feed back since then. I just hope the tester program is still much available and I hope you guys will still consider me as an ambassador despite my in activitness. It was due to the fact that I didn't get a response from the team. I hope to hear a favourable reply from the team. Can you please shoot uma@appics.com another email so we can get you on the app? Maybe it got lost last time. Okay, I will do just that now. Thank you! Can't wait for the @Appics app to launch! This is going to be more fun and interesting . can't wait. I have always love everything about Appics. This is good development and i'm loving it here. I wanna join appics, looks like a cool app to use. But the link for wait list is not working for me.. Will you help mate? Happy to see that APPICS is growing unexpectedly, best wishes! Well this is awesome. i can't really wait to start using the app. so much in love with this. Thank you for this piece of information. Thumbs up.